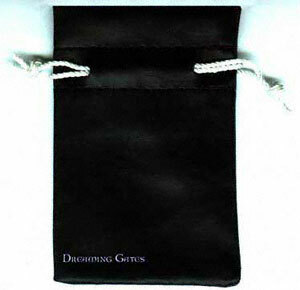 3" x 4" with drawstring closure. Matte black leatherette - cruelty free. Uses: Big enough for several small stones or crystals. Leatherette is extra long-lasting and water-resistant.